CRTGAMER wrote: I recently ordered two PS2 to Wii Remote Mayflash Adapters that allows using any PS1 or PS2 controller in place of the Wii classic. A side benefit is AUTO FIRE. Since the adaptor takes place of the Nunchuck, my hope is maybe I could also tie the Auto Fire to House of the Dead 2. I'll post a review here once they arrive and my HD CRT holds up. Sounds good. I have a "FPS Master" controller for PS2 that I'd like to use on Goldeneye. So this adapter review is of great interest to me. Okay the adapters came in! These are a great find for the Wii. There were only two alternate vendors at Amazon that had only one a piece at less then half the price. Amazing part was with the amount of visits Amazon gets per minute, I was the lucky dog that snagged them both! 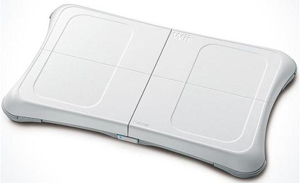 There are some Wii games that can be played with a Wii Classic Controller. Odd that the Classic Controller looks very similar to a PS2 Dual Shock. I have so many PS1 and PS2 controllers that I really did not need another controller just for the Wii. I already have a couple of PS2 to Gamecube adapters and wanted to play Wii games this way. Discovered the Mayflash Adapter thru a Google search. What I like about the PSX to Wii adapter is it plugs right in the remote and is hot swappable, no need to reboot the Wii. All the Playstation controllers become wireless in a sense in that they are not direct attached to the Wii. For setting up to eight buttons on the Playstation controller in rapid fire. Simply hold the Turbo button on the Mayflash and press a button on the PSX controller to enable. Now when an enabled button is pressed the Mayflash will flicker the LED. To disable Auto Fire simply hold the Mayflash Turbo buton and tap the PSX button again. Auto Fire only works on the PSX controllers and only on Wii games that support the Classic controller. So how does an Analog sticks compare to the Remote? I tested a standard PS2 Dual Shock controller. A Wii Classic Controller has almost the same layout as a PSX controller. So both should work almost identically. The PSX Analog stick moves the cursor around okay, but the Wii Remote is a quicker "Light" gun response. So much simpler to point with the Remote for accuracy. Both the Remote and PSX controllers still work, point the remote away from the Sensor Bar to use a PSX controller. The Robotron inspired twinstick game with "Vector" graphics like Black Widow. The Remote works great, but now with a Dual Analog, its even better! One analog stick moves the ship while the other analog stick controls the rapid Fire shots. Nice moving one direction while shooting in another. Note that Rapid Fire is in the game itself, the Mayflash Turbo is only for the buttons. At first I was disappointed that the gamepad and four Face buttons are not utilized on the Dual Shock. This would kill using any PSX Digital Arcade Stick. I plugged in my Blaze Twin Shock just to see what would happen. The digital stick actually works!!! The Arcade stick acts just like the left Analog stick and the four face buttons default to the right analog stick of Geometry Wars. Very strange considering that the Stick normally defaults to the direction pad on a regular Playstation. This is perfect considering that I have modded the Player Two stick to operate as the face buttons of Player One. Geometry Wars is played just like the Arcade game Robotron, not with tiny thumbsticks, but full sized Arcade Sticks! Of note the PSX Duel Shock Analog Thumbsticks do offer an important advantage. A precise 360 degree movement and gunfire due to use of potentiometers. The PSX Arcade Digital Sticks can only do eight directions due to the limit switch design. The Wii Classic Analog Sticks have ridge stops in the sticks just like the Gamecube controller. The ridges are for Vertical, Horizontal and Diagonal control. The stick cannot be rolled smoothly, though 360 degree control can still be achieved. The Dual Shock offers a tighter control, but the Digital Stick gives a true Arcade experience. So was Geometry Wars the only game that offered the unique Digital Twin Stick mode? I have another game to test and see if this was just a lucky chance. Strange that the game case does not show the Classic Controller Icon on the back cover. The original N64 import used one Analog stick for aiming and the buttons for sideways movement. Wii actually plays better with a Remote for aiming and the Nunchuck for full movement. Now to try out the PS2 controller. The PS2 Dual Shock works after I adjusted the settings menu to a better button layout. Left Analog stick moves the gunsight, the Right Analog stick moves the character. Trigger buttons are the weapons and evade. Works great, though the Wii Remote does offer a quick instant point to where you want to shoot. The modded Blaze Arcade Twinstick also works just like the Dual Shock. 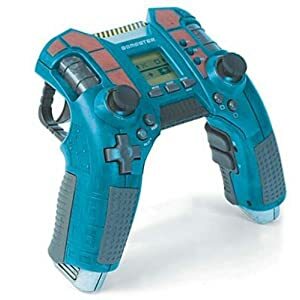 After reconfiguring the game settings, Player One stick is the gunsite, the four face buttons are for movement which is also controlled by the modded player two stick. The trigger buttons are set for weapons and evade. Works okay but a trick tapping the fire buttons with both hands on the Arcade sticks. The Wii Remote is still the best aiming device. So is the Mayflash adaptor better then just going with a Wii Classic Controller? I can't give a true assessment since I don't have one to compare. 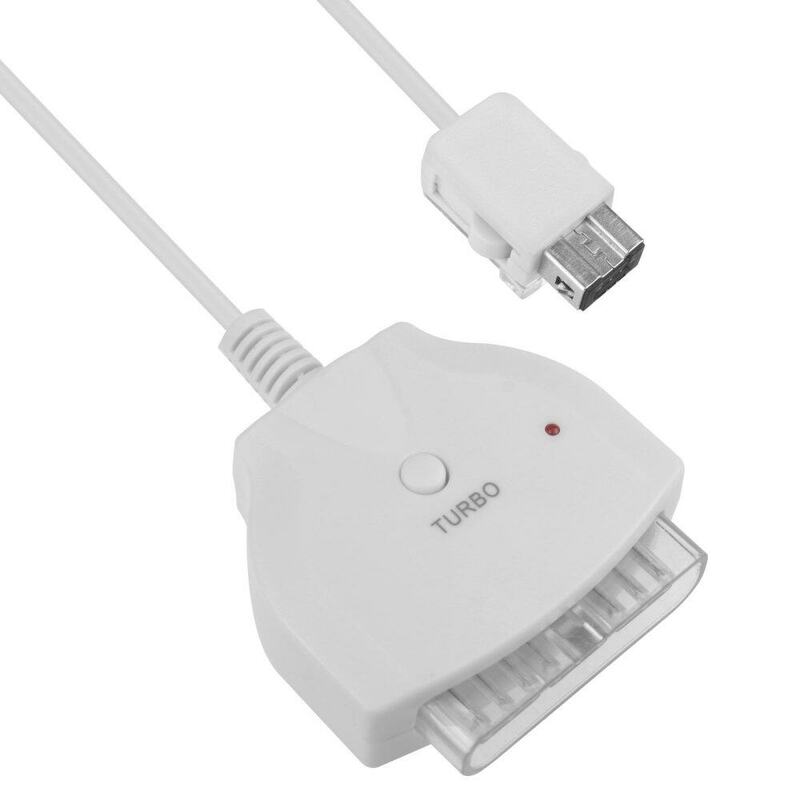 But the adaptor allows use of all the various controllers that are available on the PS1 and PS2. Some others to try include a Driving Controller, Dance Pad, Flight Sticks and even the unusual ones such as Beatmania and a Densha De Go Train controller. The Playstation has tons of controllers to try with the "Classic Controller" games, offering a different way to play a game. Last edited by CRTGAMER on Wed Oct 25, 2017 10:38 pm, edited 37 times in total. CRTGAMER wrote: The game also mentions use of a Balance Board, dare I get one? I already jump on a Dance Pad with the blinds closed, maybe? I actually borrowed a friend's Balance Board to try out that feature. It didn't work that well because you lose the precision of the Wii remote. This game alone doesn't warrant a purchase of the accessory. alienjesus wrote: Nintendo do own the rights to all those kremling characters though. Donkey Kong Jet Race had some kremlings in it, K.Rool has been in at least one of the king of swing games and kremlings are the goalkeepers in the mario strikers games. How odd that they wouldn't revive them then, I wonder why that is. equalsign wrote: Don't own the game, but I'm pretty sure it doesn't have that option. Wii remote only. I don't think it has an alt jump waggle, but it does make you use waggle for a ground pound move (which isn't so bad) and for the roll (which is a sin). They even had a spare button they could have used, I hear. However you are given the option to hold the Wiimote sideways. The standard nunchuck + Wiimote combo works just fine though, and the roll is a breeze to pull off. I really have no complaints control-wise. Opa Opa wrote: Been meaning to tell you CRT, look up Vertigo. It looks like your kind of game, I think. You pegged my interest on this. I already have a similar games for the PS2 such as Super Monkey Ball Deluxe, Mojo and a PC called I've Got Some Balls. This is very similar to the PC Freeware Balls game! Since Vertigo is inexpensive used, decided to pick one up. I remember playing the Arcade Marble Madness with a Trackball, even had a taste of tilting the PS2 Mojo game with a Spitfish Tilt Sensor. Curious how this would work with Wii controls. Instead of using a Keyboard, Mouse or Trackball, I get to try tipping the steel ball from a Motion Control perspective. The Wii Remote is tipped just like the wood floor of a drop the steel ball maze toy. Hold the Remote flat and the ball is stationary. Tip and tilt the Remote to move the ball. The Nunchuck moves the camera around. Guide the ball thru the tracks to the exit, pivoting around corners with a tilt of the Remote. There is also a bowling game that adds a new way to bowl. The normal prespin on a bowling ball is now a direct control. Bump the ball around with the remote while traveling down the track. 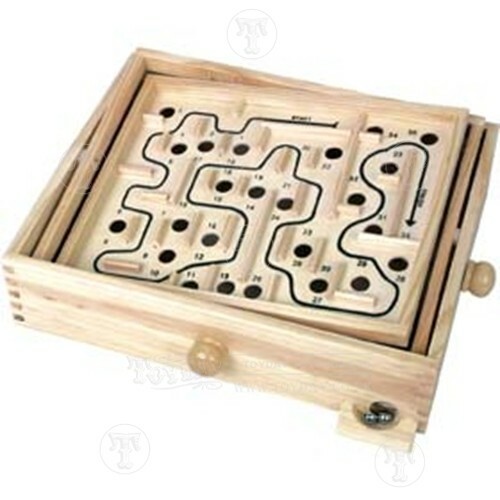 The ten pins are harder to "Strike" when negotiating a maze and jumping over drop offs. 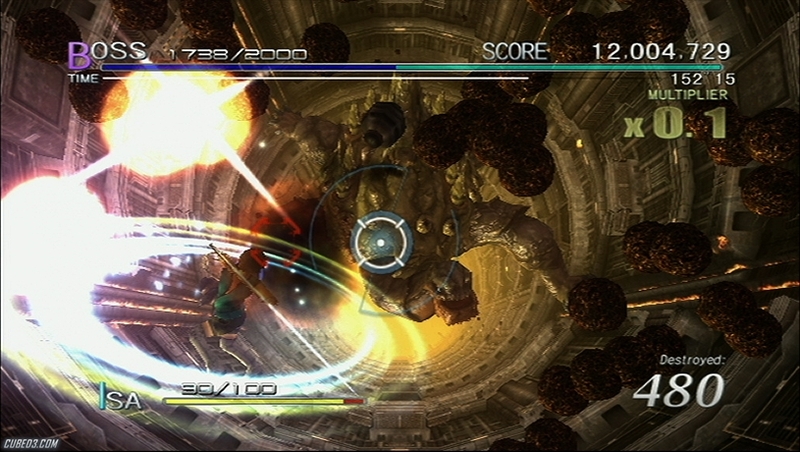 The complete overhead view of the entire playfield is changed to a direct behind the ball view. This adds an element of quick reaction on where to turn the ball. The controls are tight, the ball instantly reacts to the pivot or tilt of the Remote. The game also mentions use of a Balance Board, dare I get one? I already jump on a Dance Pad with the blinds closed, maybe? This opens the door for other similar Wii games to try including Kororinpa Marble Mania, Marble Saga Kororinpa, Mercury Rising and the Super Monkey Ball games. I am discovering a lot of games on the Wii that would normally be a download on another system. A gain, getting a more permanent disc copy that can easily be played on a friend's console. Last edited by CRTGAMER on Wed Jul 11, 2012 2:27 pm, edited 4 times in total. "Welcome to the circus of values!" CRTGAMER wrote: Okay the adaptors came in! These are a great find for the Wii. There were only two alternate vendors at Amazon that had only one a piece at less then half the price. Amazing part was with the amount of visits Amazon gets per minute, I was the lucky dog that snagged them both! A great price! Only two showing better grab them. Forgot to mention that the PSX controllers offer a precise 360 degree control for Geometry Wars. The Wii Classic Controller Analog Sticks have ridge stops just like the Gamecube controller which limits movement and shooting, the ridges interfere rolling the stick for a smooth 360 degree control. Updated the review at the top. Last edited by CRTGAMER on Wed Jun 22, 2011 11:40 am, edited 1 time in total. Forgot to mention that the PSX controllers offer a precise 360 degree control for Geometry Wars. The Wii Classic Controller Analog Sticks have ridge stops just like the Gamecube controller which limits movement and shooting to eight directions. They don't limit it to 8 directions at all, it's still 360. Just makes it easier to move or aim in those 8 directions. Personally, I prefer that, I find the PS2 control sticks to be awkward and uncomfortable. alienjesus wrote: They don't limit it to 8 directions at all, it's still 360. Just makes it easier to move or aim in those 8 directions. Personally, I prefer that, I find the PS2 control sticks to be awkward and uncomfortable. Okay, reworded the Review at the top, I think the ridges are a pain though. I'm tempted to crack my Gamecube controllers open and file off the ridge stops. Weekend_Warrior wrote: Sounds good. I have a "FPS Master" controller for PS2 that I'd like to use on Goldeneye. So this adapter review is of great interest to me. Should work fine, please let us know once you get the Mayflash PSX to Wii Adaptor. 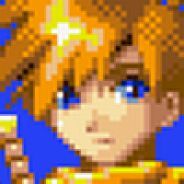 Is this the PS2 FPS Master you own?